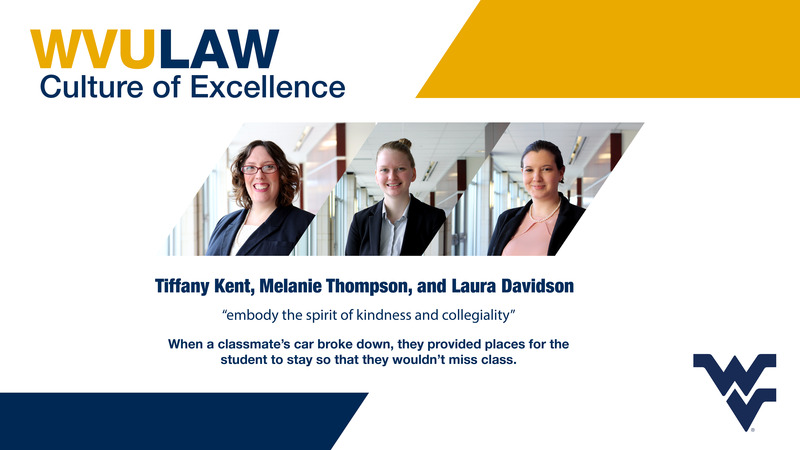 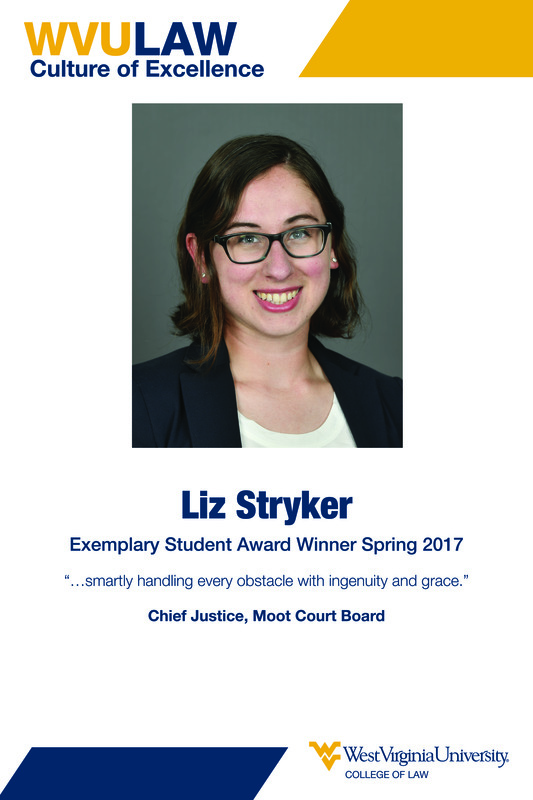 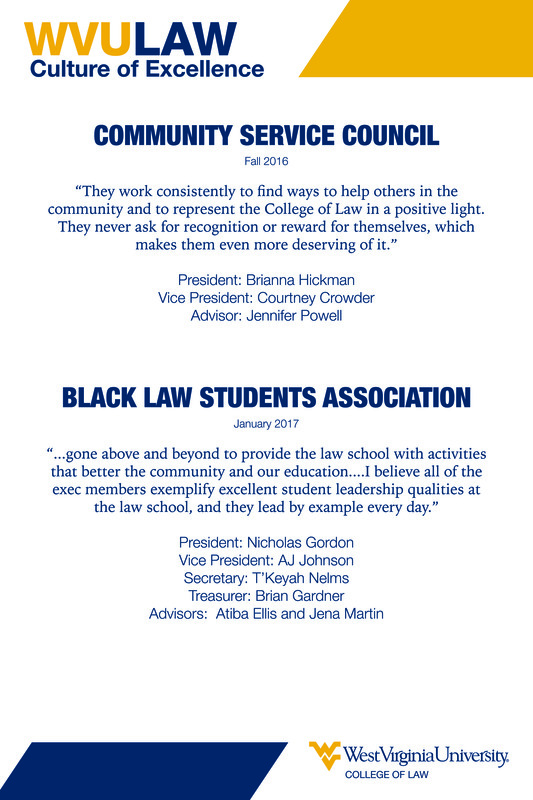 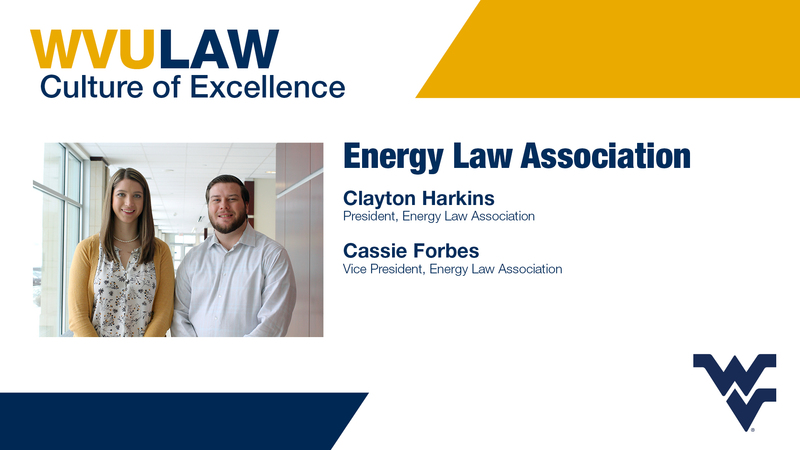 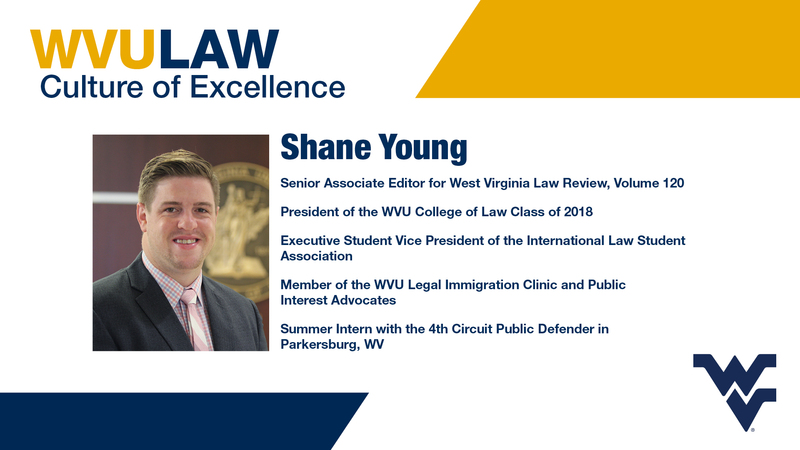 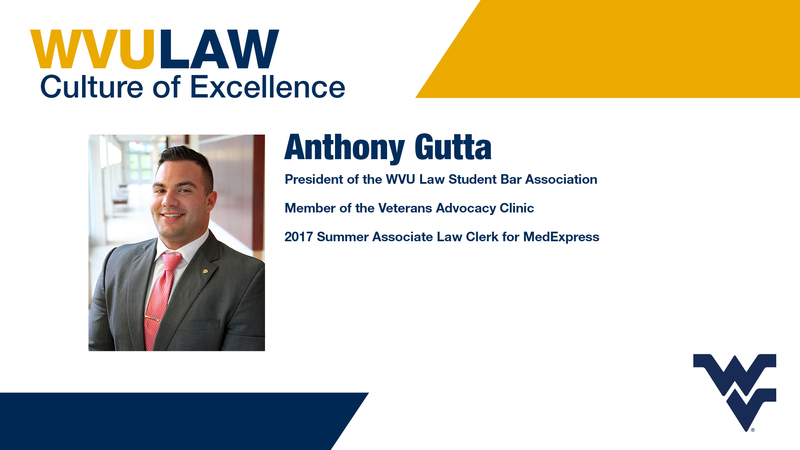 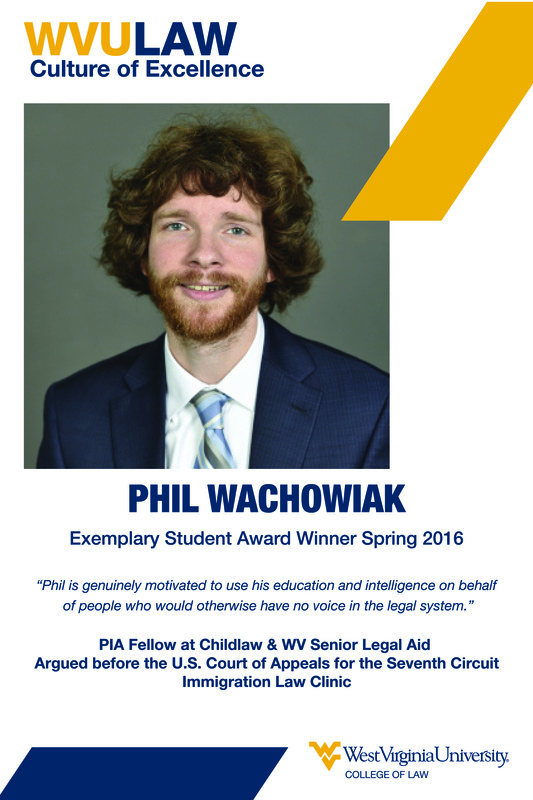 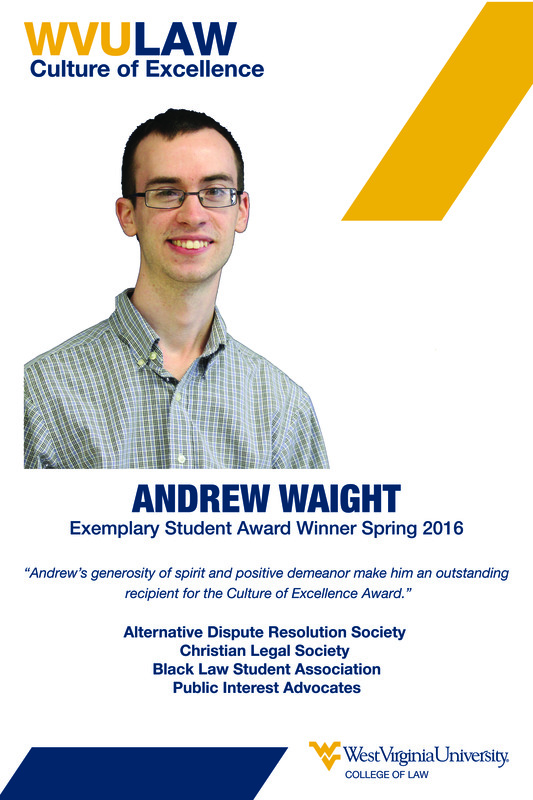 WVU Law students are always doing outstanding things—we hear about them, we see them. 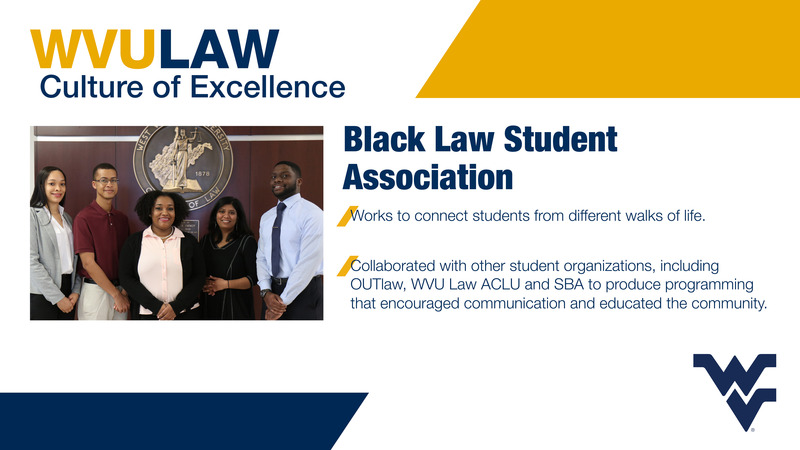 The mission of the Culture of Excellence Program is to officially recognize these outstanding students and/or student organizations. 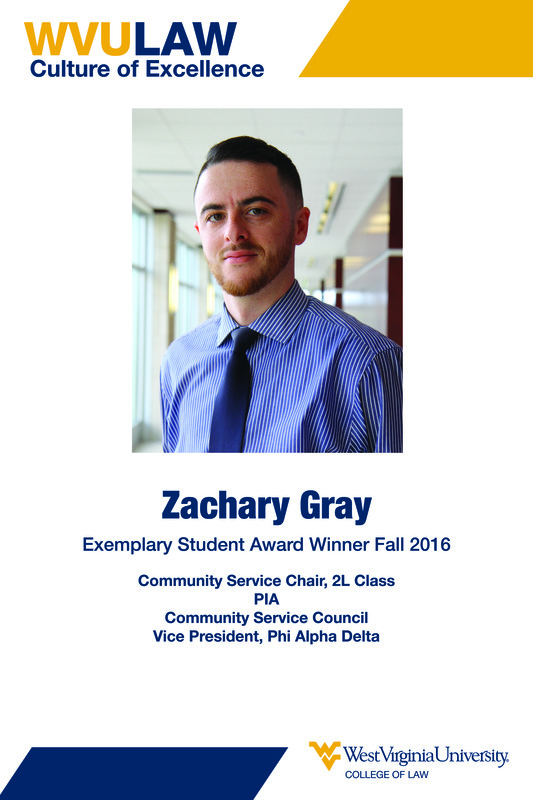 Exemplary students or organizations may show excellence in a number of ways, including volunteerism, random acts of kindness, or outstanding co-curricular or extracurricular performance.